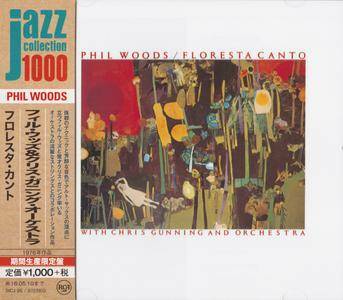 This long-out-of-print CD has finally been reissued and it's a must-have for Phil Woods fans, or for anyone interested in an excellent example of post-Parker be-bop saxophone. The sound quality is excellent, the rhythm section is very competent and Phil is at the top of his game on a nice mix of standards and originals. It's easy to see why he has been the benchmark for jazz alto for decades. His swing and inventiveness are nicely showcased as he eases his way through the list of tunes. 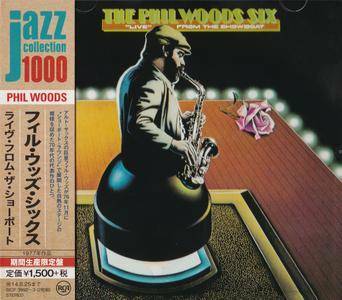 If one were to buy one or two CD's that best show Phil Woods' ability to create meaningful jazz, this one would have to be high on the list for consideration. Don't miss it! Reissue with the latest remastering. Comes with liner notes. A wonderful record – one in which Phil Woods blows alto solos over the arrangements of Michel Legrand – handled in the masterful style of Legrand's best jazzy soundtrack work, and in a way that lets Woods hit some of his best solos of the 70s! Legrand's always been great at this sort of album for any jazzman – and here, he unlocks a romantic tone in Woods' style that is a nice counterpart to some of the hippy-dippiness that he'd been showing in other sides from the 70s. Reissue with the latest remastering. Comes with liner notes. 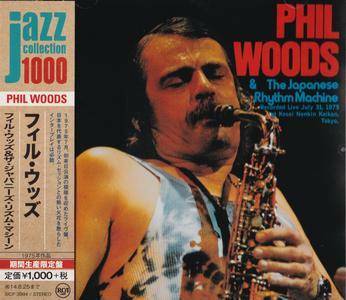 A double-length, ultra-cool set from saxophonist Phil Woods – yet another aspect of his great body of work from the 70s, and a live date that features Woods at the head of a sextet! 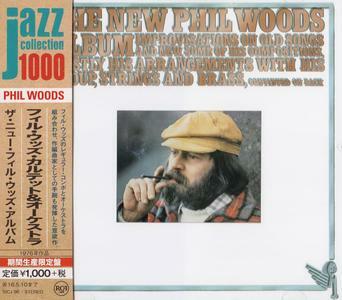 The group here features acoustic piano, electric guitar, bass, drums, and percussion – all used in ways that are often a bit more organically building and spacious than some of Phil's more intense Rhythm Machine albums – showing a new sensitivity in Woods' music, but one that still has plenty of room for searing, searching solo moments! Titles include "Django's Castle", "A Little Peace", "Brazilian Affair", "I'm Late", "Superwoman", "High Clouds", "How's Your Mama", and "Rain Danse". Reissue with the latest remastering. Comes with liner notes. 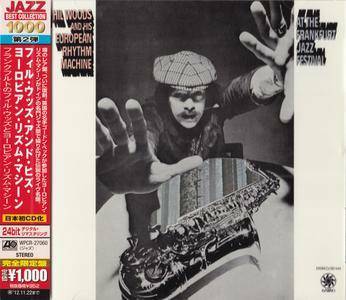 Phil Woods toured Japan in 1975 with the Japanese Rhythm Machine (pianist Hideo Ichikawa, bassist Mitsuaki Furuno, and drummer George Otsuka), recording this album at during a concert at Kosei Nenkin Kaikan in Tokyo. The alto saxophonist is at the top of his game, while the rhythm section provides excellent support, with Ichikawa especially shining in the solo spotlight. Reissue with the latest remastering. Comes with liner notes. 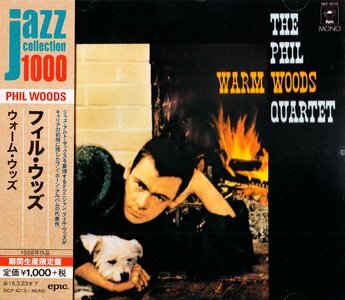 Phil Woods really outdoes himself here – offering the world a whole new side of his talents, and stepping forth at the head of a larger ensemble than usual! The album features Woods' core quartet augmented by larger strings and horns – all in shadings and tones that are incredibly expressive, and filled with warm colors and rich tones that never get bogged down in hoke or too-easy inflections! Reissue with the latest DSD remastering. Comes with liner notes. Rare as hens' teeth – and an incredible meeting of two vastly underrated alto talents! Phil Woods got plenty of opportunities to record as a leader in the 50s, but altoist Gene Quill was often buried in bigger groups – a fact that makes this album one of the few chances to really hear him shine! Woods and Quill work together beautifully throughout – playing boppishly, but also in a more relaxed groove – one that's a bit like Phil's excellent Warm Woods session for Epic from the same stretch, but perhaps a bit more upbeat overall. Features 24 bit remastering and comes with a mini-description. 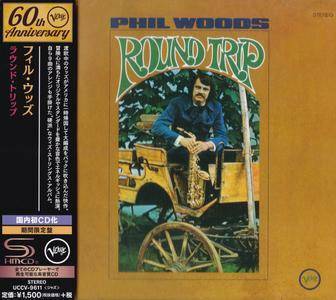 Altoist Phil Woods' European Rhythm Machine was the most adventurous group he ever led, bordering on the avant-garde at times. The 1970 version (which includes pianist Gordon Beck, bassist Henri Texier and drummer Daniel Humair) is showcased on this 1986 reissue performing two group originals, Victor Feldman's "Joshua" and "Freedom Jazz Dance." Verve 60th Anniversary Rare Albums SHM-CD Reissue Series. Reissue with SHM-CD format. Hip and groovy work from Phil – very different than both his earlier bop-heavy sides, and his freer European recordings – recorded with some great backings by Johnny Pate, the excellent Chicago soul arranger who also did some great soundtrack work! Pate's come up with some tight short tracks that have a nice groovy late 60s Verve feel – over which Woods solos angularly on alto, working amidst woodwinds by Jerome Richardson and Jerry Dodgion, piano by Herbie Hancock, trumpet by Thad Jones, and some light strings that trickle in and out from time to time. Reissue with the latest remastering. Comes with liner notes. The meetings of alto saxophonist Phil Woods and Gene Quill, such as this 1956 sextet date for RCA, are always enjoyable. In addition to baritone saxophonist Sol Schlinger, Woods and Quill are joined by pianist Dave McKenna, bassist Buddy Jones, and drummer Shadow Wilson. The focus is on the two altoists, but there is occasionally blowing room for Schlinger and McKenna, too. Gene Orloff's snappy "Sax Fifth Avenue" and Woods' brisk "Four Flights Up" are the highlights of the date, along with several works by Bill Potts. 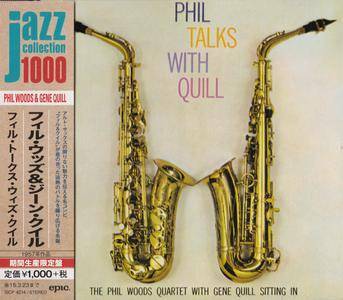 This is a typically solid effort by Phil Woods and Gene Quill.